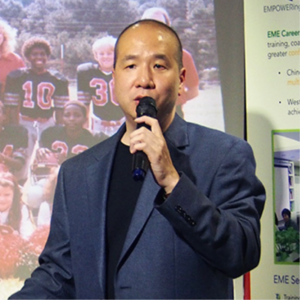 The premise behind China Advisory and Consulting Services at EME China Consultants is simple to conceptualize, but problematic in practice because very few people can reconcile their incongruent beliefs when assailed with absurd assertions. Simply put, most people don't care about the disconnect between what we FEEL and what others FEEL. Cross-cultural performance is connecting what we SAY and what we DO to what others PERCEIVE. Making this connection requires self-awareness and empathy, two foundational soft skills that cannot be taught or learned, BUT you can master them with the right training regimen. PERCEPTIONS are the #1 Influencer of OUTCOMES! 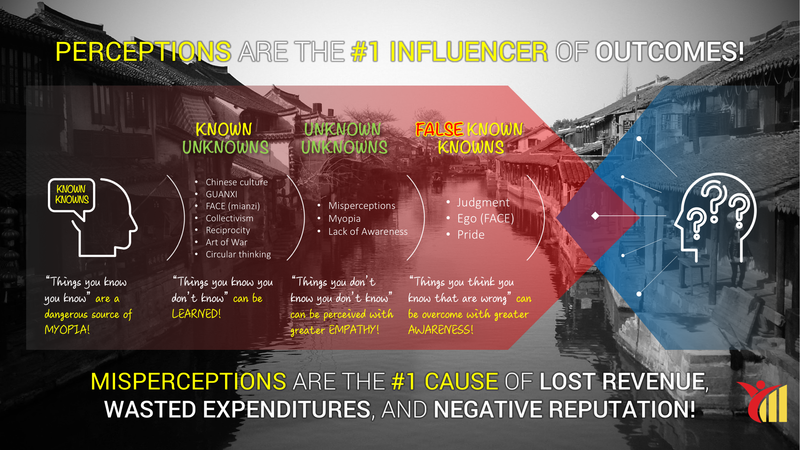 MISPERCEPTIONS are the #1 Cause of lost revenue, wasted expenditures, and negative reputation! 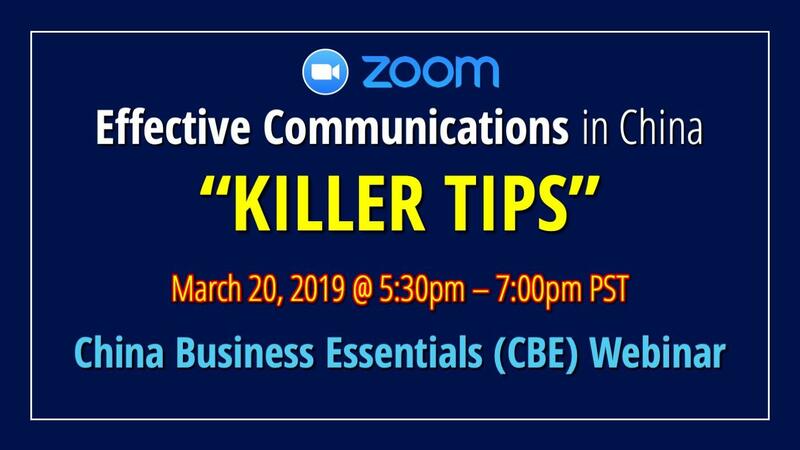 What you normally say and how you typically behave may seem innocuous, but the implications from the precedents and perceptions you leave behind after each cross-cultural engagement will amplify over time. 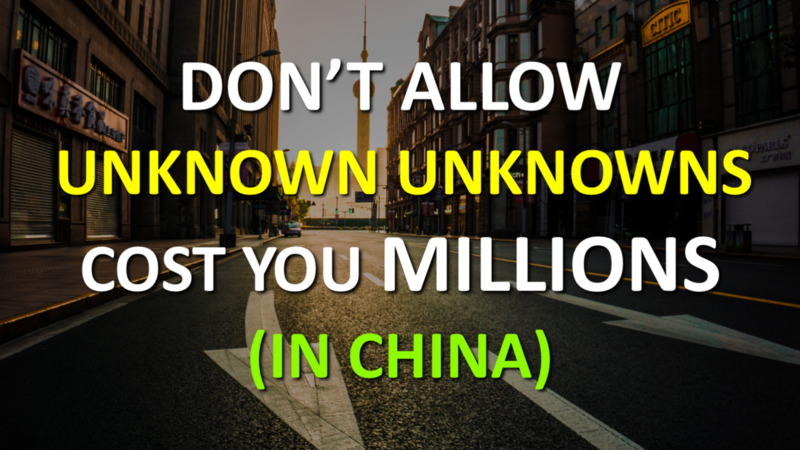 The "things you don't know you don't know" (unknown unknowns) are the most significant cause of lost revenue, wasted expenditures, and negative reputation in China. The only thing that might be more harmful is "things you think you know that are actually wrong in the Chinese cultural context" (false known knowns). What is the difference between a disappointing outcome and an unexpected disappointment? What is the VALUE of achieving predictably more favorable outcomes for myself and my business endeavors? What is contextually significant about Chinese culture compared to more Western cultures? China Leadership Dilemmas or CLDs results when we experience an unexpected disappointment where prior ways of thinking, working, and behaving did not lead to the intended positive reactions nor expected outcomes for any cross-cultural engagement, and they are symptoms of myopia, unknown unknowns, and a lack of awareness and empathy. What happens when you combine executive coaching, intercultural training, and cross-cultural performance tactics? The overarching framework for developing an arsenal of soft skills for conquering all your cross-cultural challenges is a mindset adjustment. There is a difference between what we LEARN, what we ADJUST, and what we DEVELOP; so it is essential to conceptualize and contextualize this distinction. Only thru becoming a master of cross-cultural performance can you achieve more favorable outcomes in China, consistently and predictably!